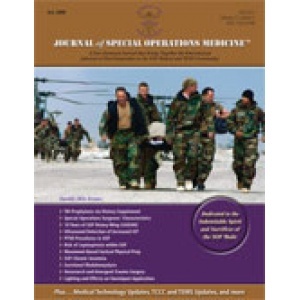 To determine the rates of Post-traumatic Stress Disorder (PTSD) positive symptom scores in Special Operations Forces (SOF) personnel, an anonymous survey of SOF was employed, incorporating the PTSD Checklist (PCLM) with both demographic and deployment data. Results indicate that all SOF units studied scored above the accepted cut-offs for PTSD positive screening.1 When total symptom severity score exceeded established cutoff points and were combined with criteria for Diagnostic and Statistical Manual of Mental Disorders, Edition 4 (DSM-IV) diagnosis of PTSD,2 approximately 16-20% of respondents met scoring threshold for positive screening, almost double those of conventional Army units. Collectively, Special Forces (SF) Soldiers and SOF combat- arms Soldiers had significantly higher PLC-M scores than their non-combat-arms SOF counterparts. SOF Soldiers with three or more deployments to Afghanistan had significantly higher PCL-M scores. Considering the evidence suggesting that SOF Soldiers are hyper-resilient to stress, these results should drive further research schemata and challenge clinical assumptions of PTSD within Special Operations.